My first recipe post! I’m trying my best to post my meal preps on the blog rather just posting on Instragram so here you go! Sundays are usual meal prep days for me and I dedicate a good 2-3 hours in the kitchen these days. I know that seems like A LOT but the time it saves me during the week makes it all worth it! It keeps me from being lazy and running to good ‘ol Chick-Fil-A (my addiction but let’s be real, a grilled chicken sandwich isn’t as fun as a crispy chicken sandwich…oh and those waffle fries…let me stop there!) Being a household of ONE, it’s hard to keep fresh raw foods fresh because I can’t eat most of pre-packaged servings from the grocery stores (try splitting up a tray with 10 chicken breast…chicken for days!) So, I do a lot of freezing! More tips on that on a later post! Now…I’ve grown a fondness to meatloaf the last year or so. 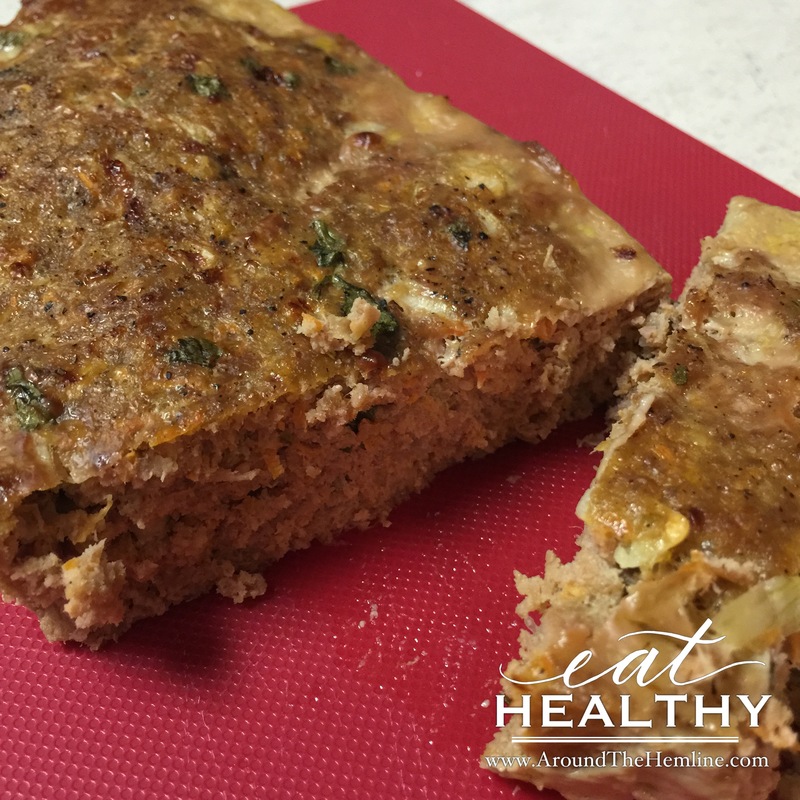 Growing up in a full Filipino household, my mom didn’t cook meatloaf! Okay, I take that back, the Filipino version of meatloaf was Embutido but it was more like a meat roll with a hard-boiled egg and raisins in it wrapped in foil and steamed (not my fave). Nonetheless, I fancy the loaf because it’s EASY to make and can be used in several ways! In order to make it healthier, I replaced healthier ingredients and sans the breadcrumbs. Once ingredients are all in a bowl, mix it up! I personally just dig in and mix it with my hands (yes, I washed them!) but those boosie ones (j/k) you can mix with a spatula. Once that’s done, take out your 9×5 loaf pan and spray it with olive oil. I use a Misto Olive Oil Sprayer instead of the store bought PAM sprays. Place the pan uncovered in the middle of the oven and let it bake for the next 50-60 minutes! If you’re an oven peeker like me, you’ll notice that the pan will get flooded with juices. Don’t worry, these will soak back into the loaf once you take it out to cool. You know the loaf is ready to take out of the oven when all the pink has turns pale (very typical of ground turkey) and the top gets a bit brown. Let it sit for about 20 minutes. You’ll also notice your loaf shrank in size! Again, very typical of turkey meatloaves! Once cool, you should easily be able to remove from the pan and slice it into pieces. Although I like to individualized my serving portions, I usual don’t for meatloaf because I don’t want it to dry out so I cut what I need and then store away in an air-locked glass storage container. For this meal prep, I topped the slices over quinoa, which I conveniently cooked in a rice cooker. I also add some sautéed broccoli (always have a balance meal!) seasoned with Mrs. Dash! 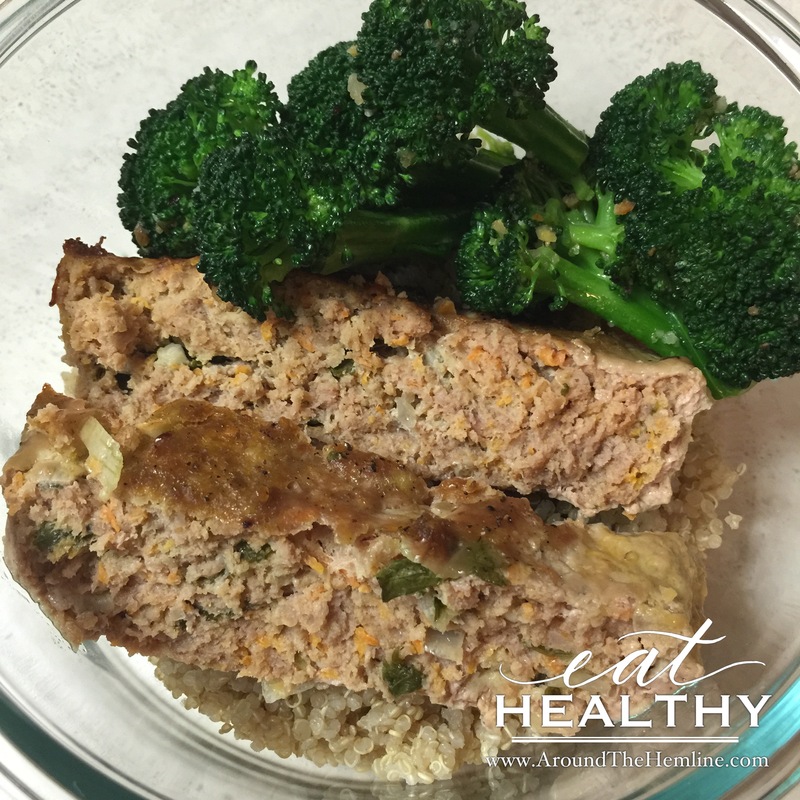 I know meatloaf usually is paired with some ketchup but to keep it healthy I refrain from it. If it’s a little bland for you (then you didn’t put enough salt and pepper) or if you have a salty tongue, then you can add Bragg Amino Acid All Purpose Seasoning (a.k.a. my soy sauce substitute). 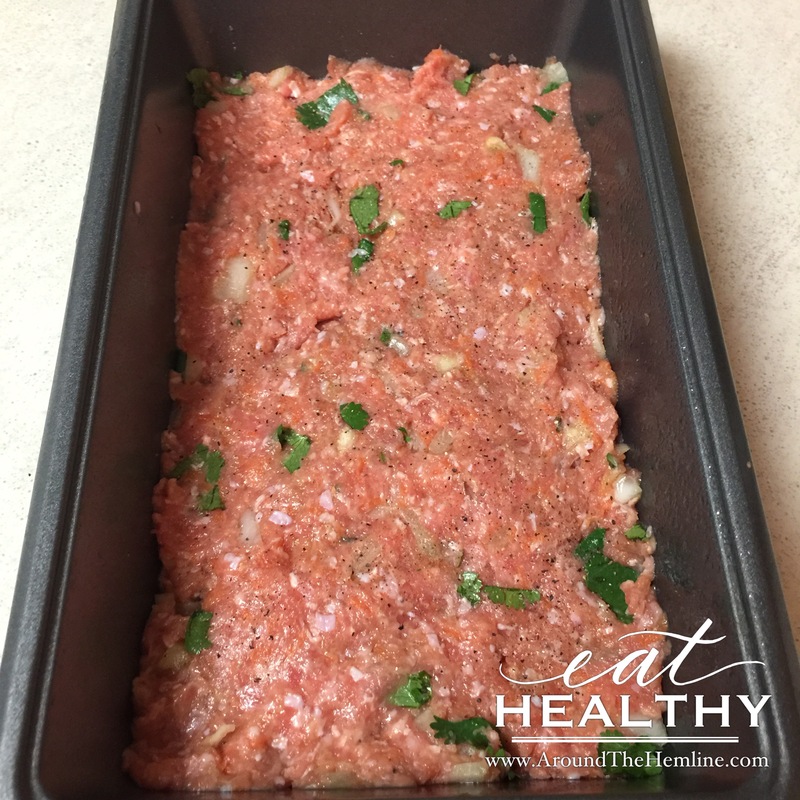 I mentioned a little earlier that you can use these meatloaf slices in about anything! I’ve added these to a wrap, crumbled it onto a salad or over wheat crackers for a snack. Pretty much about anything! Be creative! Also, feel free to add your own favorite ingredients to this recipe and share them with me in the comments below! 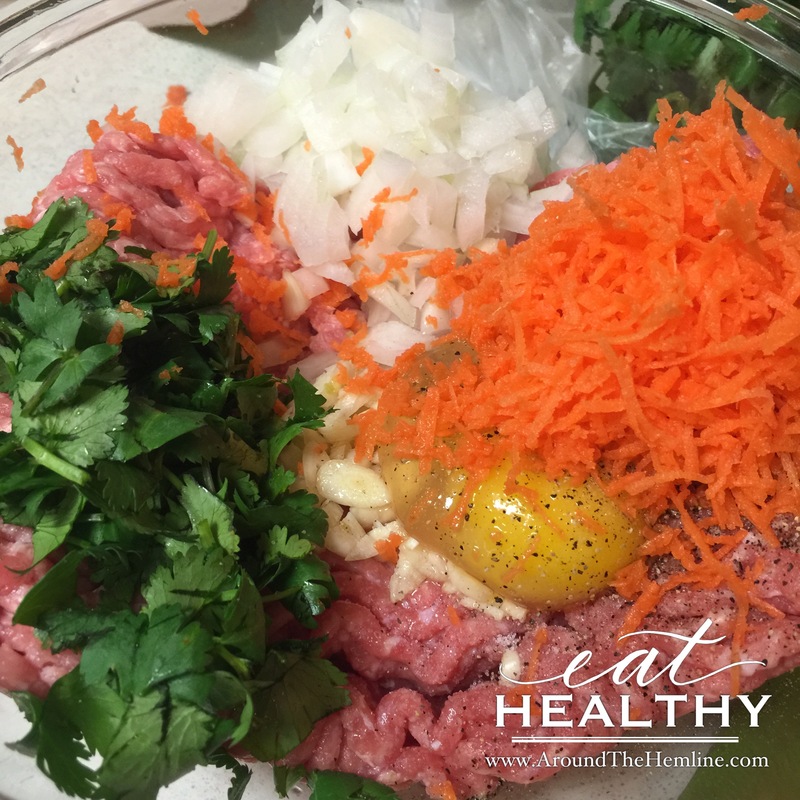 Hope this post sparks up some yummy healthy food preps!